Rent a bike in Karmali is an essential bike rental service to meet the huge requirement of foreign and Indian tourists. Karmali is an ideal place to stay in Goa. It is the closest railway station to Panjim, the capital of Goa. There are n numbers of lodges and home stays near Karmali, from expensive luxury hotels to economic ones. Which makes it a temporary stay for many tourists. Naturally, the demands for rented bikes are always on high in this place. Especially in the season of winter and summer. 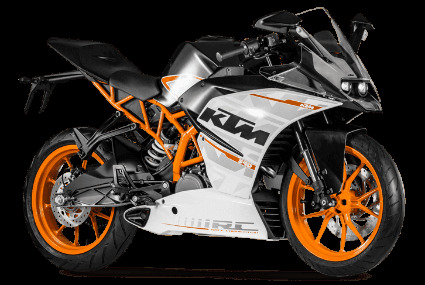 The Rent my bike in Karmali offers the best bikes at lowest prices. It will be easy for you to explore Goa with cheap bike ride, you just need to keep a Goa tour guide with you. Goa is very safe to travel around on any time of a day. You don’t have to depend on public transport, you don’t need any guide. A perfect adventure! Goa was discovered by a mad Portuguese sailor named Vasco Da Gama while he was on his voyage. Adventure is in Goa’s history. So, go and discover Goa by yourself with Bike rental in Karmali. Rent a bike in Karmali is run by a professional bunch of guys. With us you can have a plenty of choices. The normal bikes, scooty for wandering around the city and sports bikes for some more excitements. We have got all of them. You can hire bike from us on any day of a year. It’s a 24x7 service. Everyone claims that they provide the best bikes in the city but we have good customer feedbacks with us. You don’t have to travel all the way to get a bike from us, we take care of the delivery and return. The fare starts with a decent and nominal amount and then it depends on your usage and other factors. We take charges for damages that caused by you. For other details dial+91 22 6836 3333 or download our self-depicting app. Our online customers are privileged with many tempting offers. If you notice any inefficiency in our service feel free notify us. Bike rental in Karmali is open to criticism. And we eager to improve our service. Looking To Rent A Bike in Karmali? Try out our Rent A Bike service in Karmali, the tourist paradise to get your budget in place and enjoy fresh breezy beach air in open sun ride.